We all get excited at newness. New fluffy kittens or puppies or ducklings or babies. New shoes, new toys, new cars, new teacups, new movies. There is a camp that would scoff at the predictable excitement that comes with the turning of the calendar from December to January. Some point to the moneymaker that is the gym-membership pull of January 1, and the unrealistic ideals set by others that we feel pressured to adopt. Some would boycott the whole idea of newness, stating that resolutions are just a self-imposed high pressure scenario that ultimately ends in failure. Well, if you find yourself on that side of the fence, bear with me. I am a chronic list-maker, goal-setter, planner, shaker and mover. I long to bust-up my comfort zone and perfect my imperfections - to a sometimes unhealthy degree, I will admit. For as long as I have known of the concept of New Year's Resolutions, I have made myself a list. Sure, I make a really idealized and optimistic list, and usually don't come close to succeeding at half of it, but to me, that's ok. At least I have Intention. At least I have Focus. At least I am Striving. Well, last year, I told myself, "I'm just going to love myself more, accept myself the way I am..."
Last year, I was discouraged. I was struggling with my health and my energy levels. I was struggling with a resurgence of mild depression, and the lack of desire to do things that I usually love. I was feeling cut adrift, and I was not looking to anchor myself, either. I felt lonely and isolated, and I had given up. I didn't know it until mid-May, but I was actually dealing with a complicated health issue that I had no idea had been affecting me for years [more on that later]. Coupled with my propensity to the melancholic, it was not a good start to a new year. 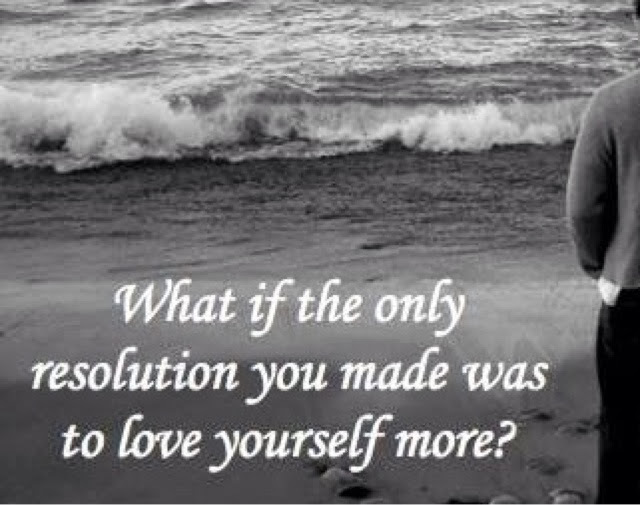 Just "loving myself more" was a pretty abstract concept. While it is a very good goal, I didn't have a plan on how to make that goal happen. Don't mistake me; 2013 wasn't a terrible year- far from it. So many good things happened in 2013. However, I felt a bit lost throughout the year, and I do attribute that largely to the fact that I didn't have a solid focus. I didn't have goals. I didn't have a plan. I didn't have intention. I didn't have that jumping-off point that gave me something to refer to when I wasn't sure what The Plan was. I am not going to make that mistake again. New Year's Resolutions may not be for everyone, but they are for me, and I intend to make them from now on. My 2014 resolutions are reasonable, while challenging, and they are just right for me. 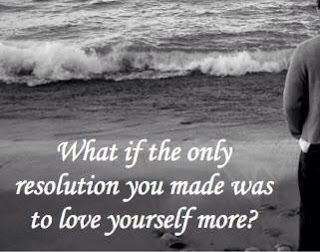 When I work toward these goals, I am actively "loving myself more" in a purposeful way. Here is my advice. Make a list, but make it personal. This is for you, and only you. My list is not for you. Your list is not for me. 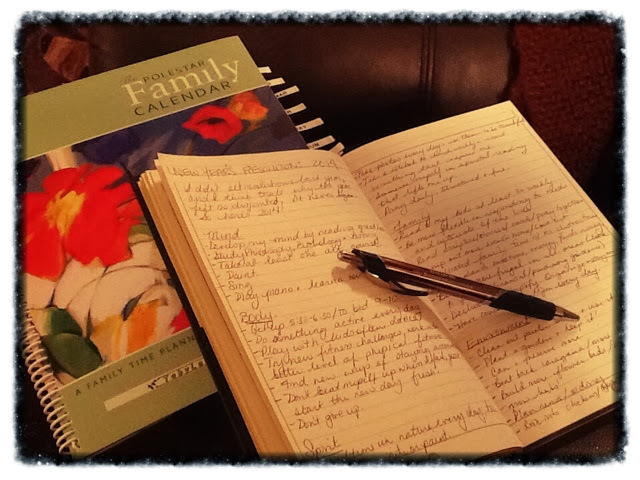 I divide my list into categories: Mind, Body, Spirit, Family and Environment. Then I set a few realistic goals that pertain to each. I often set a theme for the year too, like a character quality that I want to work on, and then fit my resolutions into that theme. Two years ago, for me, it was Organization. There are too many things that I went to perfect, and I know that one year isn't enough to 'fix' it all. Narrowing the focus helps a lot. I really encourage you to make this your own, and use this opportunity to grow. Not to be perfect, though! Just to become an even better version of your wonderful self. Can I help you get started? Here is one resolution from each of my categories for this year. Take at least one art course, and learn a new piano piece each month - however simple. Find new ways of staying accountable for fitness goals, and be active every day. Take a notebook to church, and note something that inspires me each week. Carve out dedicated family time with no distractions/camp out more, even in the yard. Live off the land more this year - plant a slightly bigger garden than last year and focus on keeping it well tended, and then use produce for more canning and preserving this year! All the best to you as you make your plans for a wonderful 2014. Happy New Year!